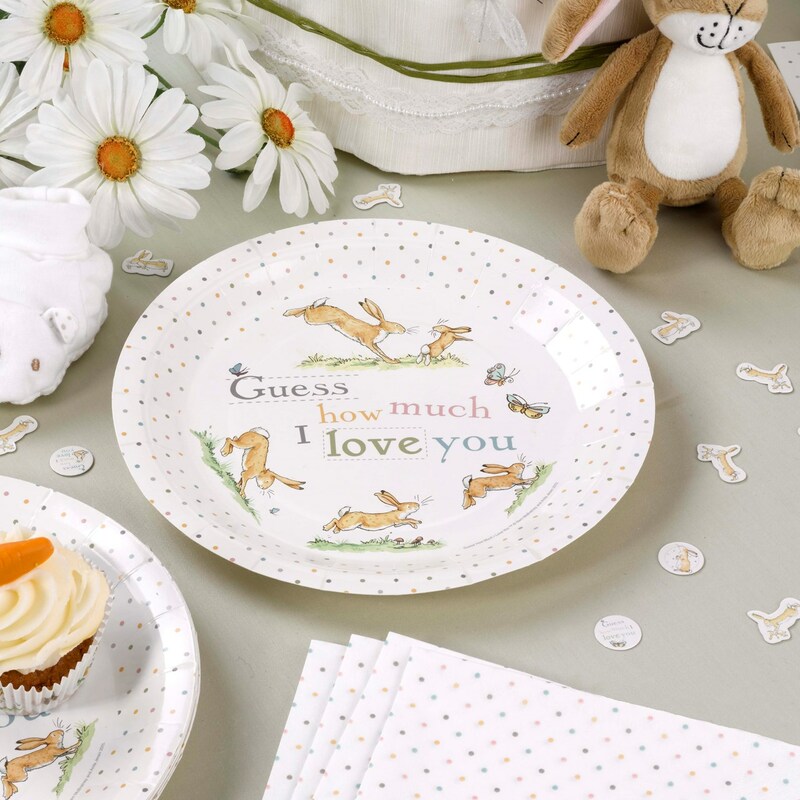 Draw on the irresistible charm of one of the best-loved stories in children’s literature - ‘Guess How Much I Love You’ - with these pretty plates from our full collection based on the classic book. Featuring a lovely tableaux of the Little and Big Nut Brown Hares, leaping through the fields, surrounded by fluttering butterflies. Each pack contains 8 Paper Plates, size: 230mm.